The town of Lake Park, Florida was designed by Dr. John Nolan and the Olmsted brothers, sons of renowned landscape architect Frederick law Olmsted. 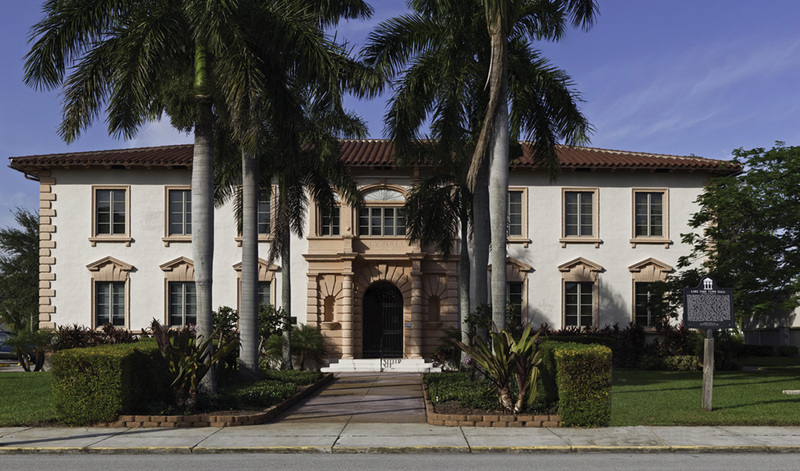 Lake Park Town Hall was built in 1927 in the Mediterranean Revival style by local architect Bruce Keichell. It was the centerpiece of Lake Park, the country’s second pre-planned and platted city. In addition to being the seat of the municipal government, Town Hall continues to serve as a center for community activities. Its Mirror Ballroom is a beautiful banquet and performance space widely used for social and cultural events. R.J. Heisenbottle Architects was commissioned by the Town of Lake Park to restore Town Hall. The building was reroofed and the original windows were restored. Additionally, the building’s interior was also restored, with special attention given to the Mirror Ballroom and its beautifully detailed wood ceiling. 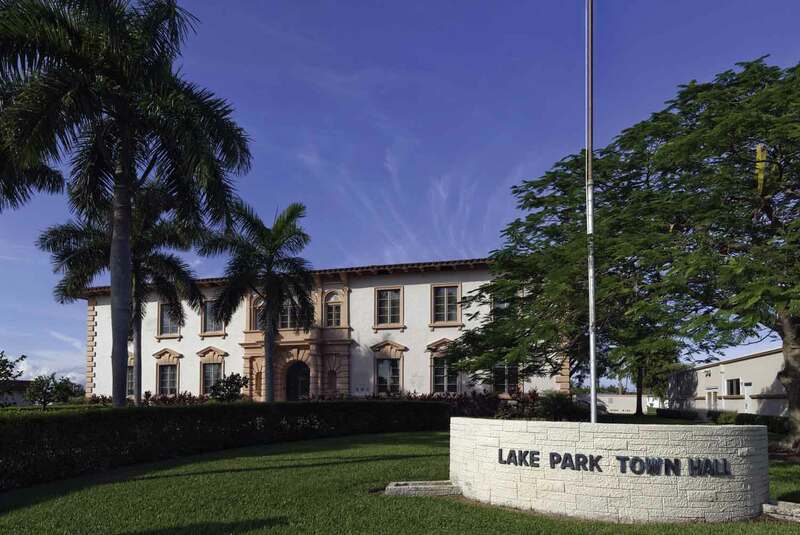 Lake Park Town Hall is listed on the National Register of Historic Places.